Getting into the deeper pranayama and meditation work was completely delicious. This has been a life changing experience during this walk on earth. I truly feel I have a firm foundation on which I can continue to grow and build. I cherish the knowledge I have been given about the sacred texts and this will serve me well every day of my life. I feel like I will be able to not just teach my students asana, but impact their lives off of the mat with the tools SOYA has given me. Although I have taught yoga for 3+ years, my skills have improved, knowledge expanded, confidence grown. The best part of the program is the structure, content, professionalism and calibre of instruction. The instructors were phenomenal and knowledgeable of the material they were teaching, offering workshops and practices that were excellent. 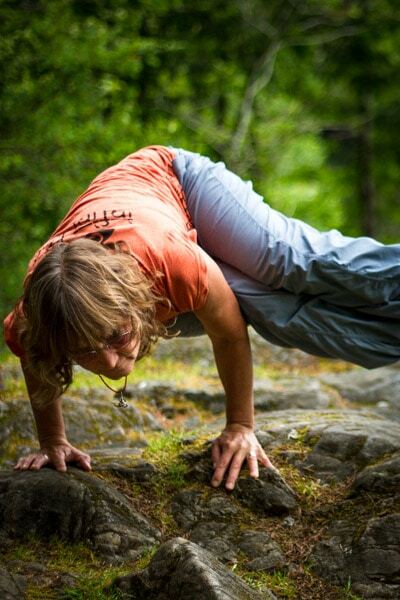 Have you been wanting to Advance your Teaching Skills and Deepen Your Knowledge of Yoga? Have you wanted to be more inclusive in your classes with sensitivity to trauma, physical limitations, or your ability to modify poses? Are you looking for clarity on topics like the koshas, granthis, lokas, vayus, mudras or the mythology of yoga? Well you have come to the right course! The SOYA 300 hour Advanced Yoga Teacher Upgrade is rich with wisdom and practice in all of these areas! We will build on the foundation you received in your 200 hour training and take you on a journey with advanced pranayama, asana, meditation, mudra, mantra! We are here to enhance your teaching skills while diving into the magic of the philosophy! Advanced Yoga isn’t necessarily about “advanced asanas”. This is only a portion of the training, and is done according to what your body is prepared to do. There is so much more to yoga beyond asana that your 200 hour training prepares you for. Lets check it out! This Advanced Upgrade is available in Penticton, Prince George, Mackenzie and Vancouver-area (Pitt Meadows) BC. Inclusive and Specialty Yoga: Making Yoga Safe and Inclusive for All – including chair yoga, kids, restorative, prenatal, trauma sensitivity, props and light assists. Advancing Teaching Skills: Creative Sequencing, Building Themes, Voice and Body Language, and Finding your Market Niche. Also how to create captivating private sessions, workshops and retreats. 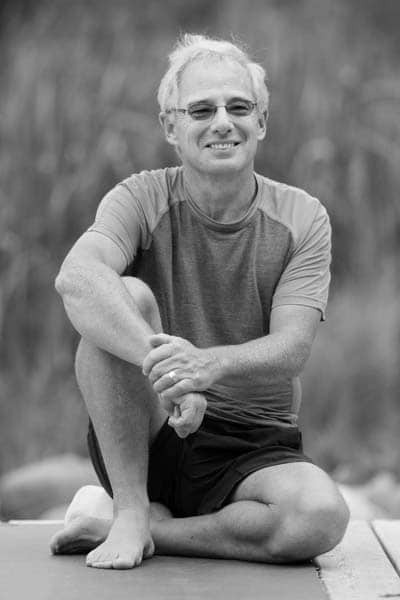 Subtle Anatomy of Yoga: Study, Practice and Implementation of Advanced Energetic Teachings and Techniques – including Advanced Pranayama, Chakras, Koshas, Granthis, Lokas, Mudras, Mantras Mythology and more! SOYA’s masterful, highly trained faculty offer a uniquely individualized, deeply transformative teacher training in small groups. They are rooted in authentic yoga to guide you to a deeper understanding of the power behind your teachings. Deepen your knowledge of yoga and truly understand the traditional wisdom and how it applies to modern times! Payment plans available! The SOYA 300 hour Advanced Upgrade extends over 12 weekends, usually one per month. Each weekend provides detailed instruction and practice in three core areas: Inclusive Specialty Yoga, Advancing Teaching Skills, and The Subtle Anatomy of Yoga. You will participate in and take the leadership role in various meditations, mantras, chanting, and pranayama. We specialize in guiding you through group discussions and experiential exercises to shed light on the philosophical gems within the ancient texts. The SOYA training is known for its in-depth study of yogic philosophy and wisdom, and how it relates to current daily life. During daily asana classes you will experience various styles of Hatha Yoga such as Sivananda, Vinyasa, Gitananda, Restorative and Yin. 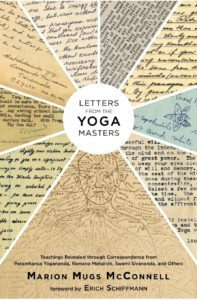 Mugs’ book Letters From The Yoga Masters is rich with wisdom passed on to us through centuries of experience and effort, and through practice you will have the opportunity to experience the power behind these techniques. 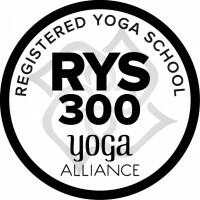 Upon completion you will receive a 500 hour certificate and be eligible for registration with Yoga Alliance as a RYT500 (Registered Yoga Teacher – 500 Hr)! Additionally, all SOYA 500 hour graduates are eligible to apply for Full Teaching Membership with the International Yoga Teachers’ Association (IYTA) without writing there intensive exams! Teaching Specialty classes such as Chair Yoga, Seniors Yoga, Yoga for the Office, Yoga in Schools, Restorative, Essential Prenatal, etc. Students will have assignments in philosophy and anatomy, as well as the creation of a themed class or workshop to teach to the group. Written final exam. In order to register with Yoga Alliance as RYT500 you must have 100 hours of teaching experience. Students should keep a record of all the hours of their teaching experience from the time of their 200 hour certification. Please apply for the SOYA training as early as possible prior to the program to give yourself time to receive the manual and books and to complete the first assignments. Textbooks and a Manual will be sent to you upon registration. Note: Three Friday evening sessions will run from 5pm to 9pm.